please click on the "Resources" link above. 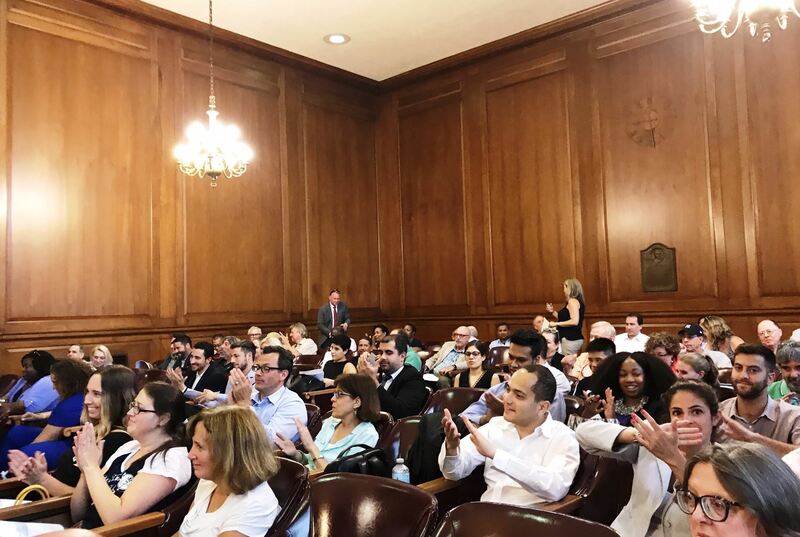 Thanks for having joined us for the second session of the multi-part CLE series titled "Trial Techniques: Interactive Lessons from the Plaintiff and Defense Perspectives," co-sponsored with New York County Lawyers Association and held at its elegant auditorium at 14 Vesey Street in lower Manhattan. This informative and intriguing CLE was presented by Hon. 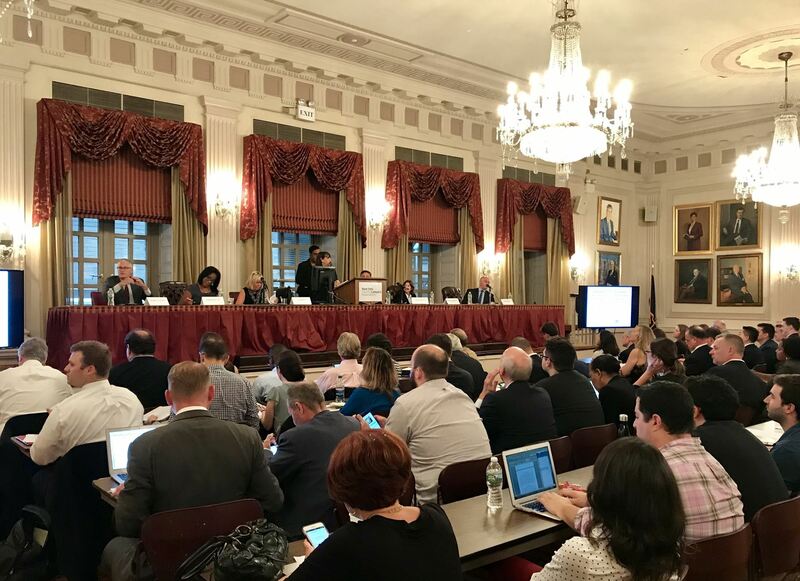 Eileen A. Rakower of Supreme Court, New York County; Anthony D. Martine of McMahon, Martine & Gallagher LLP, a DANY Board member; Andrew J. Smiley of Smiley & Smiley, LLP; Claire F. Rush of Rush & Sabbatino, PLLC, a DANY Officer, Sherri E. Holland of Burns & Harris, and Jeffrey K. Van Etten of Perry, Van Etten, Rozanski & Primavera, LLP. DANY once again extends great thanks to Andrea Alonso, Esq. of Morris Duffy Alonso & Faley for her informative presentation titled "Be Careful Walking to the Game - An Update about Liability for Sidewalk and Premises Conditions in New York State." Additionally, DANY thanks its members, guests and sponsors for attending this CLE and the Yankees game, making this yet another truly excellent event. We watched the Yankees defeat the Orioles from seats in Sections 226 and 227A along the third base line, and in Section 129 which is field level next to left field. This excellent CLE was presented by Hon. 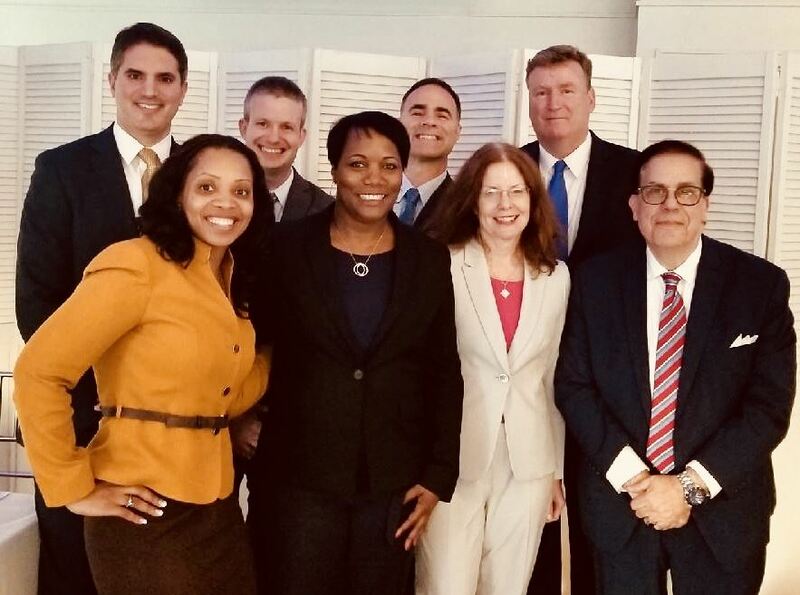 Bernard Graham of Supreme Court / Kings County, Alecia Walters-Hinds of Lewis Brisbois Bisgaard & Smith LLP, Steven Balson-Cohen of Baker, McEvoy, Morrissey & Moskovits, P.C, Christopher J. Donadio of Gair, Gair, Conason, Rubinowitz, Bloom, Hershenhorn, Steigman & Mackauf, and biomechanist Calum G.A. McRae, Ph.D. of ARCCA. 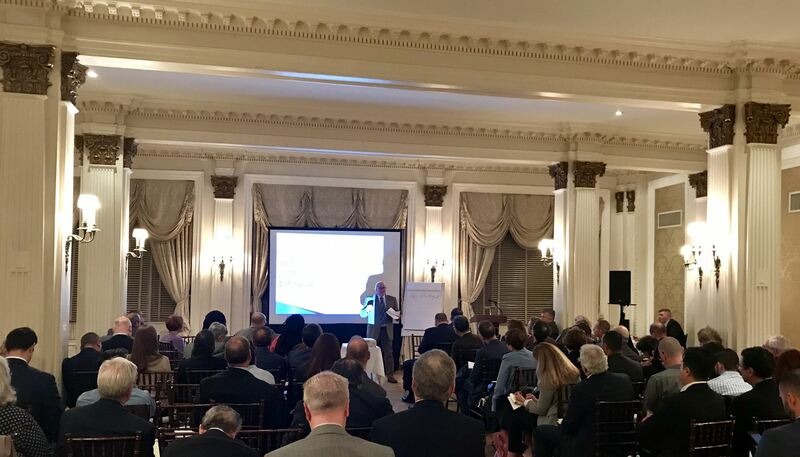 This was offered in conjunction with the NYC chapter of the American Board of Trial Advocates (ABOTA). Both organizations express their gratitude to these fine presenters. After the informative course, there was a very enjoyable food, beverage and networking reception at Battery Gardens inside Battery Park in lower Manhattan. 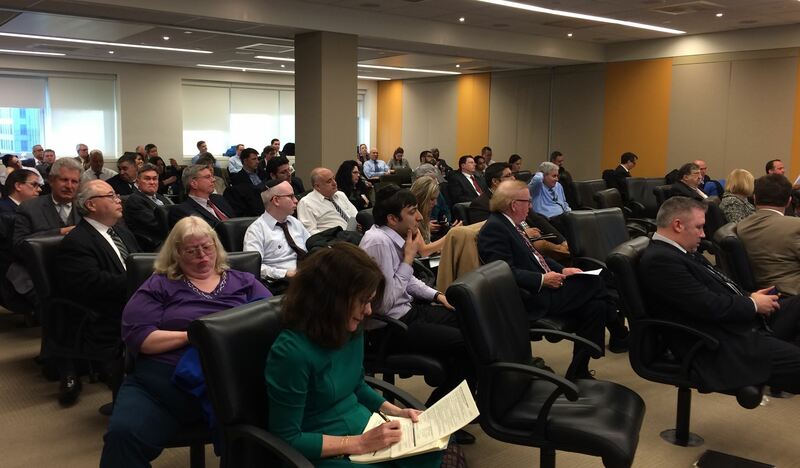 On April 18, 2018, approximately 90 persons attended a very informative CLE in an excellent space, at which fine food and beverage was served! 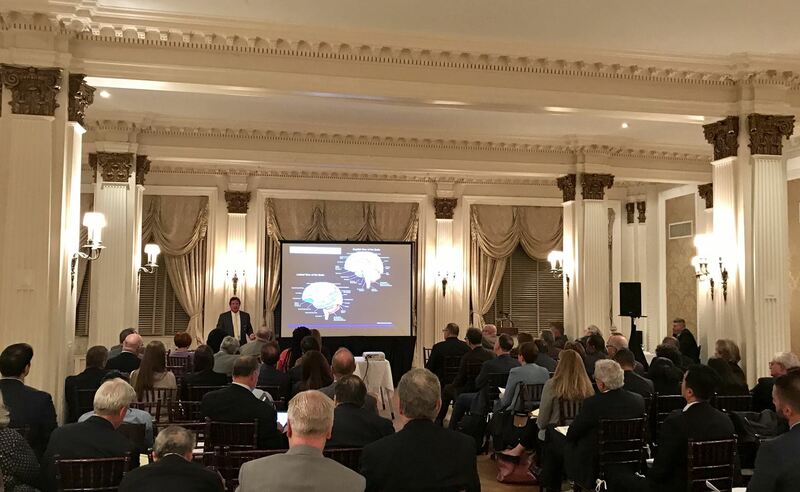 DANY wishes to thank the presenters of this excellent program: DANY Past President Julian D. Ehrlich of Aon Risk Services Northeast, Darrell John of Conway, Farrell, Curtin & Kelly, P.C., Rona L. Platt of Enstar, and Jennifer A. Ehman of Hurwitz & Fine, P.C. DANY also extends its gratitude to the host venue, i.e. Battery Gardens inside Battery Park in lower Manhattan - to which DANY will return for another compelling CLE on May 30, 2018, concerning Frye hearings and biomechanical experts. On January 29, 2018, there was the greatly successful the first session of a multi-part CLE series titled "Trial Techniques: Interactive Lessons from the Plaintiff and Defense Perspectives," co-sponsored with New York County Lawyers Association and held at its second floor auditorium at 14 Vesey Street, New York, NY 10007. This ongoing educational series will address all significant components of a trial. This first session, will be made available on video, addressed preparing for trial, jury selection, common motions in limine, and opening statements. The presenters for this session were Hon. Eileen A. Rakower of Supreme Court, New York County, who provided the Court's perspective; Anthony D. Martine of McMahon, Martine & Gallagher LLP, a member of DANY's Board of Directors; Stacy L. Moon of F&B Law Firm, P.C. 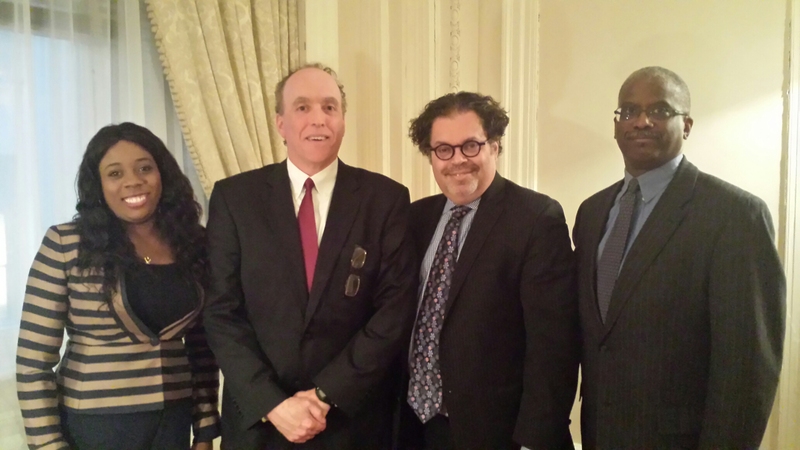 ; Kevin Pinter of Nicoletti Gonson Spinner LLP, Adjunct Professor for Trial Advocacy at Brooklyn Law School; Wayne A.J. Wattley of Burns & Harris, an officer of the Bronx Bar Association, and Sherri E. Holland of Burns & Harris. Please view the video once available, and join us for future sessions; this is an excellent opportunity to learn tips and techniques for developing trial skills and proficiency in trial advocacy. Future sessions will again be immediately followed by a dinner and networking reception. An intriguing two hour CLE titled Sexual Harassment and Employment Discrimination - Understanding and Preventing Legal Exposures was presented by Richard Steer, Esq. of Tarter Krinsky & Drogin. 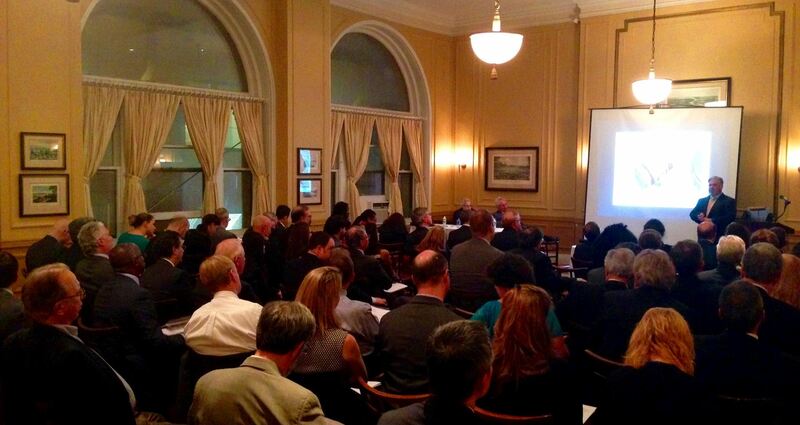 As with DANY's previous CLE program, the educational portion of the event took place at State Insurance Fund at 199 Church Street, New York, NY. This was followed by an after-CLE social, including a buffet dinner with beer and wine, at Thalassa Restaurant at 179 Franklin Street in TriBeCa. Thanks again to State Insurance Fund and Thalassa, as well as to Mr. Steer. An informative Labor Law update CLE was presented by Gary Rome of Barry McTiernan & Moore, Christopher Hart of Nationwide, Leon Kowalski of Kowalski & DeVito, and Michael Pearsall of Kowalski & DeVito, and was moderated by Brian Rayhill. 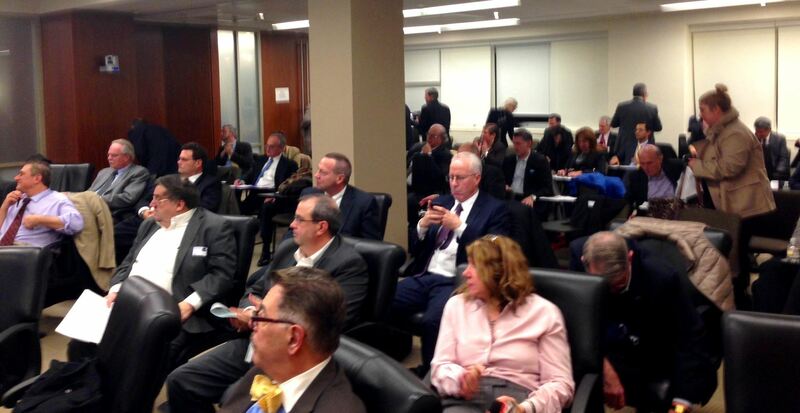 The educational portion of the event took place at State Insurance Fund at 199 Church Street, New York, NY. This was followed by an after-CLE social, including a buffet dinner with beer and wine, at Thalassa Restaurant at 179 Franklin Street in TriBeCa. Approximately 100 persons attended this highly successful event, which was organized by Brian Rayhill, Terry Klaum, Brad Corsair and others. Thanks as always to State Insurance Fund and Thalassa, as well as to the presenters. Photos to come. DANY extends great thanks to Andrea Alonso, Esq. of Morris Duffy Alonso & Faley for her informative presentation titled Dram Shop Liability in New York. Additionally, DANY thanks its members and guests for attending this CLE and the Yankees game, and making this the excellent event that it was. DANY wishes to thank the presenter and moderators below for their lively and informative presentation, and also Thalassa Restaurant for once again hosting the food and beverage social. DANY wishes to thank the presenters below for their intriguing presentation, and also Thalassa Restaurant for hosting the food and beverage social. DANY wishes to thank the presenters below for their informative presentation, and also Maxwell's Bar & Restaurant for hosting the food and beverage social. DANY wishes to thank the presenters below for their comprehensive presentation, and also Bar Cyrk for hosting the food and beverage social. DANY wishes to thank the presenters below for their informative presentation, and also the Thalassa Restaurant for hosting the food and beverage social. DANY expresses its gratitude to Director Kevin G. Faley, Esq. for his excellent CLE presentation, and to the many members and guests who also attended the Yankees game. DANY strives to offer a variety of events and programs with education, networking and enjoyment all in mind. DANY extends thanks to the presenters below for their intriguing presentation on protection of the defense physical examination. Colin F. Morrissey, Esq. - Baker, McEvoy, Morrissey & Moskovits, P.C. Salvatore J. DeSantis, Esq. - Molod Spitz & DeSantis, P.C. Mark Yagerman, Esq. - Smith, Mazure, Director, Wilkins, Young & Yagerman, P.C. Justice George J. 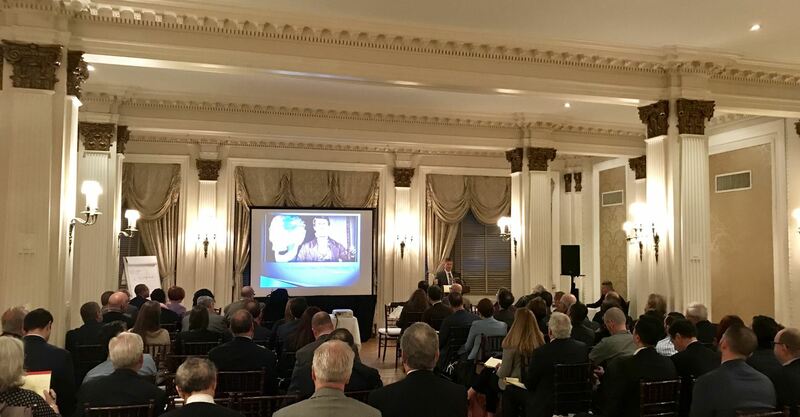 Silver of the Supreme Court, New York County headlined the latest DANY Ethics CLE on April 8, 2014 at the Down Town Association. The turnout was excellent and the program was very well received by the audience. Pictured below from left to right are Kaylin Whittingham, Esq., Staff Counsel to the Departmental Disciplinary Committee; DANY President Brian Rayhill; Honorable Justice George J. Silver; and Lawton W. Squires of Herzfeld & Rubin and former Grievance Committee Senior Trial Attorney.